The shift to large-scale field and food production involved changes in labor and technology. Labor shortages during World War II led to the Bracero program, which, between 1942 and 1964, brought more than two million Mexican men to the United States to work on short-term contracts. Labor unions such as the United Farm Workers sought to organize farm workers and fight for better wages and working conditions. They also staged boycotts to bring attention to these issues. Many growers turned to technological innovations to save costs and increase efficiency. 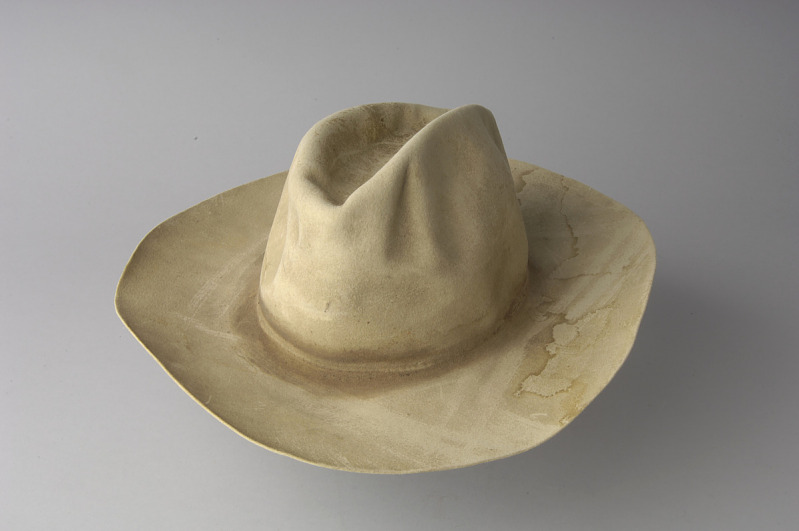 Savas Zahvala Castro wore this hat when he was a bracero working in California. Gift of Jason Ramierez Zavala in honor of the Ramierez Zavala Family. Photojournalist Leonard Nadel traveled through Mexico, Texas, and California in 1956 and 1957 documenting the poor housing and working conditions of Mexican braceros. His more than 1,000 photographs helped U.S. labor and religious groups put an end to the program. 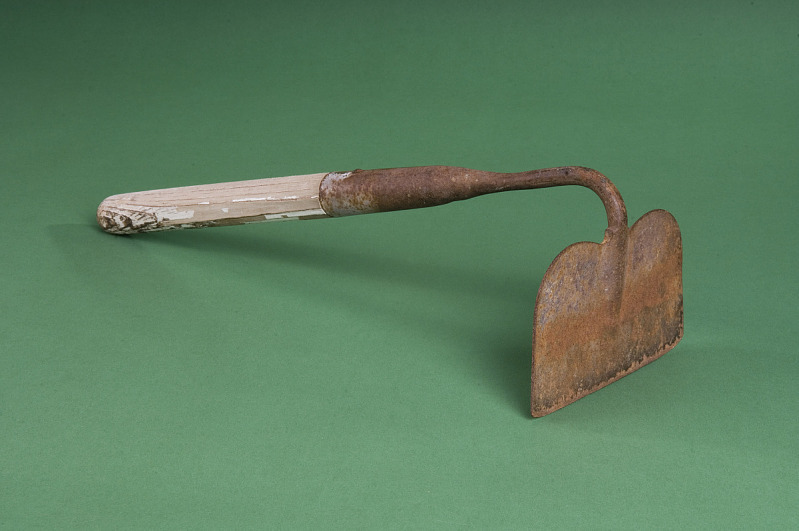 Migrant farm workers had to use the short-handled hoe—el cortito—for thinning and weeding. Because it required them to stoop during long hours in the fields, the hoe became a symbol of the exploitive working conditions. Campaigns by the United Farm Workers and others helped outlaw use of the hoe in 1975. Gift of Luis Diaz Zavala. Field laborers used the hump to pack and move boxes of lettuce. Each box held about twenty-four or thirty heads. This hump was used in the California fields of the Jerry Pepelis Packing Company from 1960 until 1964, when the Bracero Program ended. Gift of Jack Pepelis. Developed in the 1990s, this harvester shaves the delicate leaves of organically grown baby greens. 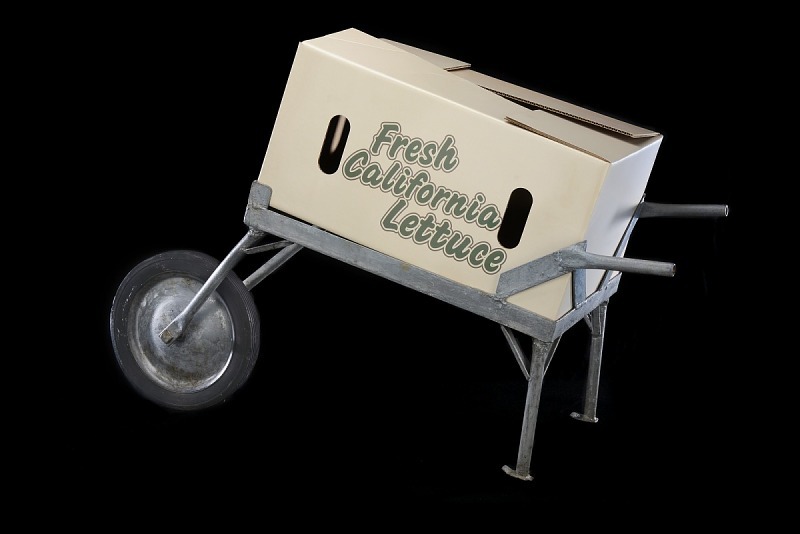 By 2000, booming sales of pre-washed, bagged baby lettuces led many growers to invest in new machinery and precision farming.